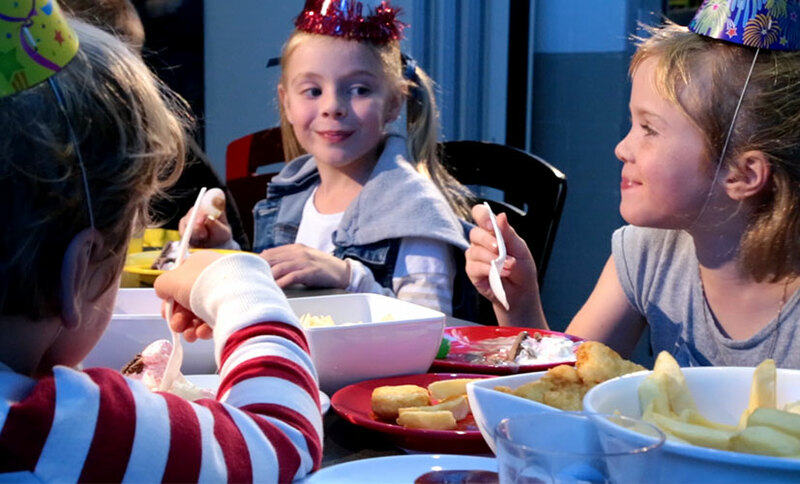 This option is best for when you want a more traditional party in a private Function room for 2 ½ hours with a party host for 1 ½ hours with party games. 2 hours 30 min in a Function Room. Up to 8 Children included in base price. Note: We recommend a Double Room Booking for more than 15 children or if you expect a large number of Adults at the Party. Tables in the Restaurant area are not available for Function Room Parties. Please discuss your requirements with your Party Consultant. FREE entry to the Adult Carer of each child attending the party. Your have unlimited time to stay and play however if staying for more than the 2 1/2 hours that you have the Function Room reserved for you will need to move to the general table section. Reserved tables in the restaurant area are NOT provided. Design the party that suits your requirements.